Originally from Balclutha and then later Nelson Suzanne has been playing tennis socially since college then competitively since 1996 when she moved to Wellington for University. Suzanne's background is working in the computer industry as an engineer and an IT Manager. It wasn't until a trip to the Australian Open in 2009 that Suzanne got inspired to get back into tennis playing at Regional 2 and later Regional 1 level for Titahi Bay. Residing in Wellington for a number of years Suzanne coached at the Renouf Tennis Centre and Island Bay Tennis Club while working at Junior Tennis Wellington Region. Having spent the last couple of years working as a tennis coach part time she then made the career change to go full time at the Renouf Tennis Centre and at the Miramar Tennis Club. Suzanne was running many programmes with Juniors and Adults of all levels and ages. During that time she acquired her Associate Junior Coach qualification. 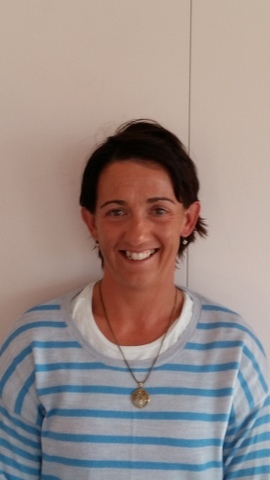 Suzanne chased the sunshine back to Nelson in October 2010, is now the Head Coach at the Tahunanui and Wakapuaka Tennis Clubs. Also coaching in schools and kindergartens around the region. Suzanne is currently playing A Grade Interclub in Nelson for Tahunanui and Christchurch for Elmwood. She is also representing Nelson in Senior representative matches around the country.